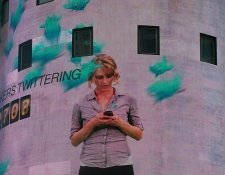 Businesses using Twitter now have to add another set of dimensions to their branding to-do lists. 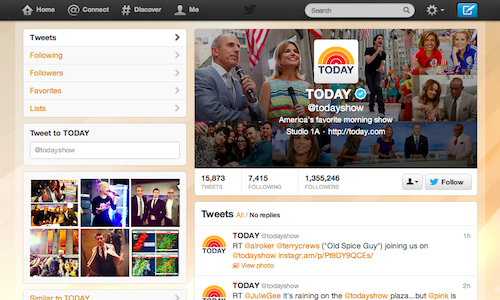 Today, Twitter introduced an updated design for profiles, featuring an all-new header image. Similar to Facebook’s cover photo, the header image appears above your tweets and is different from your profile picture. Because it occupies such a value piece of digital real estate, it’s important to select a unique image that represents your brand. Header images are now visible on the web as well as on Twitter for iPhone, iPad, and Android. To upload your image, go to Settings > Design and scroll down to Header. Your image must be a minimum of 1252×626 and is separate from your profile’s background image. Photos are a great method through which to tell your brand’s story, and we’re not the only one who thinks so. Twitter has made photos a more prominent part of your profile by adding Photo Streams just below your most recent tweets on mobile devices. Now fans can swipe through your stream or tap a thumbnail to view it full-screen. Both Twitter’s iPhone and iPad apps have been updated, with the latter receiving a slightly more dramatic makeover. The iPad app is now more in line with the iPhone version, featuring only Home, Connect, Discover and Me tabs. Although small, this update is great for brands that want to bring attention to new products and services as well as campaigns without having to depend on Promoted Products.